Given the reaction of some people who follow BTLNHL on Twitter, this appearance of the Carolina Hurricanes is long overdue. There seems to be a general disliking for this logo, and while I agree it’s far from the best, it’s also far from the worst (although, if you’re mathematically inclined, you’ll notice that 19 is closer to 30 than it is to 1, so I guess it’s still worse than most). 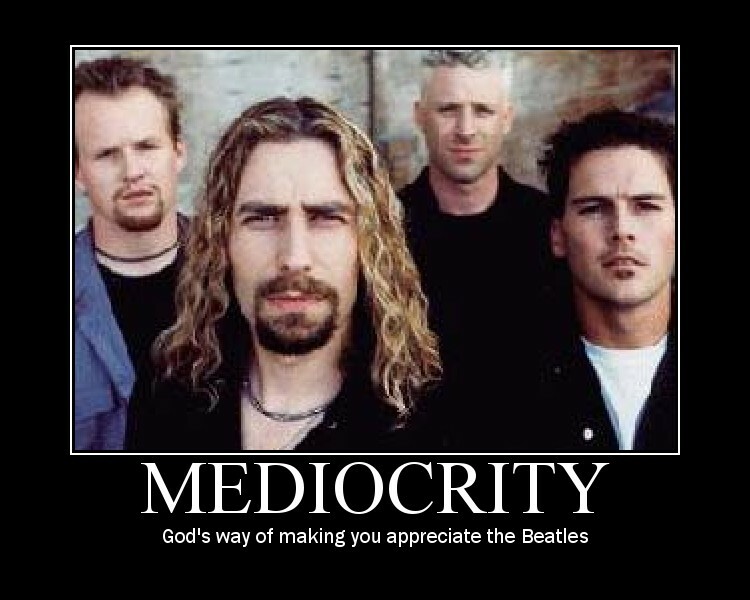 Shall we just call it mediocre? Disclaimer: I am in no way calling the Hurricanes’ logo the NHL equivalent to Nickelback, as that would be extremely unkind to the logo. 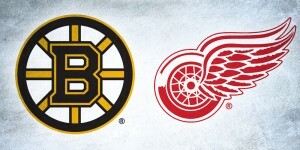 Here’s the main positive and negative to this logo. Positive: It’s got simplicity and energy. Negative: It’s, well, kind of boring. 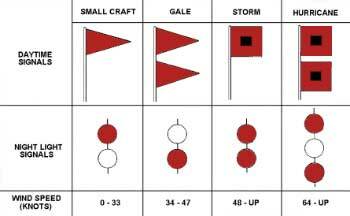 In meteorological terms, this is the symbol for a hurricane, and it obviously forms the basis for the logo. But, they elongated the shape, flattened it up, gave it a few more spikes and put a puck in the middle, or at least I think it’s a puck. I’ve never quite seen a puck that looks like that, which a red ring on the face of it and the rubber peeling off along the side. Maybe it’s what they think a puck would look like after spending some time inside a hurricane? Or a tie-dye factory? (This guy even has the courtesy to wear a hockey t-shirt, turn a shirt into a hurricane shape and create a red ring on his shirt. Thanks WolfEchoes!) 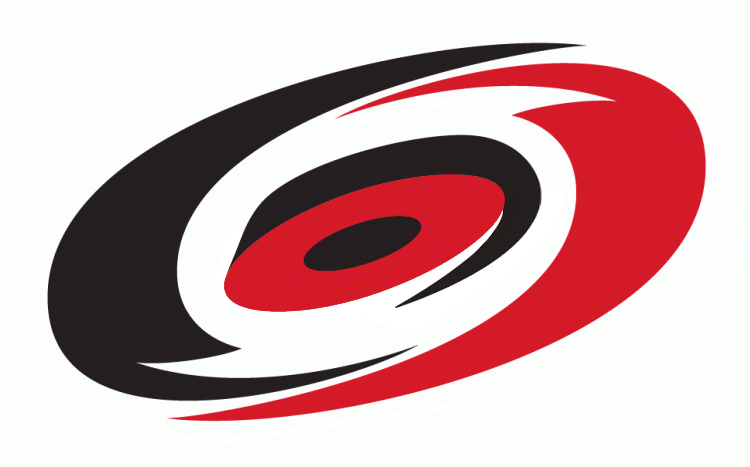 The other factor is that a red square with a black square inside is a storm warning flag (and also the Hurricane’s alternative logo), so I’m guessing they decided to turn that into a puck-shape for the logo. But, then it never becomes clear exactly what it is. But, like I mentioned, there’s definitely a simplicity to the logo. Like Christian Bale on Peter Griffin, they could have gone all crazy with this one, but they definitely made an attempt to keep a distinguished quality to the logo. 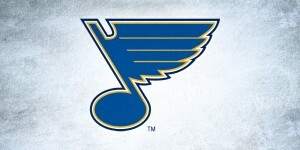 The design overall, looks like a hockey logo and belongs in the NHL. And that gets points. But unfortunately, the points don’t really matter that much here either. And there’s definitely some movement implied in it. When compared to the other natural disaster logo in the NHL, the Avalanche, you can see how the movement is implied by the shape of the elements, and not by an overload of extra elements and movement lines thrown in. But the movement inexplicably gets contained by a grey outline. Not sure why they felt that was necessary, and I think it’s stronger without it. Like Queen, the logo wants to break free. So, going back to my main negative point, why is the logo boring? Maybe it’s not so much boring as it’s just not incredibly distinctive in any regards. The extra spikes to the outer ring of the logo gives it a tribal tattoo art look. 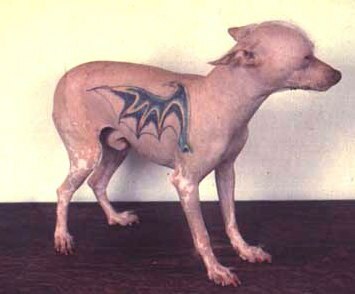 That was big in 1997 when the Hurricanes moved from Hartford (who had, by the way, one of the best logos in hockey ever), but now that everybody and their dog has one (and if you ever tattoo your dog, you are insanely cruel), they’ve kind of lost their effect. Like everything in logo design, if you try to be too cool and trendy, it will become dated very fast. Another thing about the puck/symbol in the middle. I’m not sure why it wasn’t more cleanly executed. The strange white space between the puck/symbol and the black ring/side of the puck is strange. Again, not sure why that was felt as being necessary. But, maybe the ‘boring’ problem is that they don’t have a legacy or history on their side yet. It’s hard to disassociate a logo from its history because the following the emerges from a successful franchise gives the perception that everything the organization touches is greater than it actually is. That’s pretty much the definition of good branding. They won a Cup in 2005-06, but have only been to the playoffs 5 times since not being the Hartford Whalers. If they stick with this logo for the next 20, 30, 40+ years, along with winning a few more Cups along the way, it might climb in these rankings and win people over and create a fanatical fan base in North Carolina. But really, they have to do something about those awful jersey trims. The logo has some things going for it, but we’re starting to head into the core of the NHL team logos, where the difference between #10 and #19 is not that huge. So, while it may seem somewhat arbitrary, the Hurricanes are the 19th Best Team Logo in the NHL. I remember reading that the designer of the Canes logo also designed the old Sportsnet logo (http://upload.wikimedia.org/wikipedia/en/c/c5/SNET_CTV_Logo.svg), which would make sense given how similar (and ugly) they are. Also, the Canes won the cup in ’06, not ’05. Noted and changed. Thanks for catching that! Love this analysis. Raised a bunch of things I never really noticed or thought about – like the grey outline and the white line in the center. On the bad side, when you have that kind of black shape around the “puck”, they could’ve easily flipped it around , fixed the shape a little bit, and made it into a C (as in Carolina) without it being too obvious. Also like the logo a lot better without the gray outline, it really adds nothing at all. Ok. 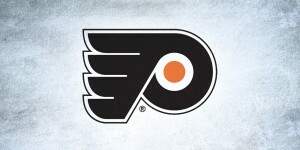 I can agree with eliminating the gray outline and white on the logo. Although, I believe the logo needs the white outline on their red jerseys. Maybe that is why the gray line is there? I’ve never viewed the center as a puck shape. I’ve always viewed this logo as simply a derivative of the hurricane symbol. I didn’t like it when I first saw it, but it grew on me and I do like it. Ok, maybe some of the little details might not make sense. I’ve always viewed it all as an artsy-fartsy sort of creative take on the hurricane symbol, so they haven’t bothered me. “”” raembtan (11:41:41) : George E. Smith (10:22:19) : Yes, I noticed that the DMI graph did a barrel roll yesterday. Now they have ‘corrected’ the data, and the readout is entirely different. There was a missing piece that was filled in.As for the JAXA graph, that appears to be consecutive days with no data that is just continued as a reapeat of the last day for which data is available.Monkeybusiness or budget cuts? “””Well I’m not sure what they did, but now at least it isn’t double valued any more.But I must confess, that so far I am unable to deduce from what they say on their site; whehter this graph is from an actual real live thermometer reading, or whether it is the output of some computer model, of what the temperature is predicted; excuse me projected to be, or what.In any case the red line and the green line aren’t even remotely similar; so it makes me wonder what last years red line looked like. Izzat green line some kind of composite smoothed out low passed 13 month running average by month of some 21 year mean of something else.I must say that the lingo of climatology sounds a lot like something you would hear on Coast to Coast AM from one of George Noory’s wacky guests.All this year-on-year plot by month data submission. Do they speak English at any of the schools that teach this stuff; it seems that the verbiage permeates all the peer reviewed literature ? It is virtually impossible to deduce the data presentation AlGorythm that is being used; from some of the pigeon English descriptions of it.It’s no wonder the alphabet soup media don’t seem to be able to gat a grasp of any of the concepts of climate “science”.The typical paper title and abstract of the average paper printed in SCIENCE, would be a first class candidate for the annual Bulwer-Lytton prize, for gobble speak ! The logo certainly isn’t the worst part of the uniform. I never could figure out what the Sportsnet logo was supposed to be but I do see the similarity. Perhaps an homage to the days of the puck-streak-fire-tracker? I don’t know if this will be read or not, but take another look at that area in the center. It’s not a puck, don’t know where you got an idea. Because it’s somewhat small and black? Yeah, it’s just the eye of the storm. But take another look. With the white there, what does that center resemble? A lowercase a. Now what does the left side of the Hurricane look like? A capital C. Subtle, but it’s there. I agree with you on getting rid of the gray though. At least on a screen, that looks like a nice touch. Don’t know about how it would look on a jersey, but if I was in Canes management, I’d have it mocked up. It’s not the greatest logo in the world, but with time and history it’ll be viewed more favorably. Also, the jersey trim is awesome.